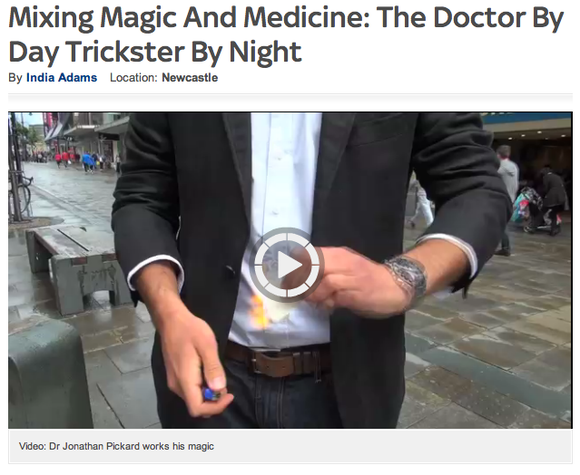 Explore Jonathan's magic in the media. A new-thinker in his field, Jonathan works on designing new magic effects. Recent worldwide creations have been widely acclaimed, even featuring in television performances by top artists of the genre. 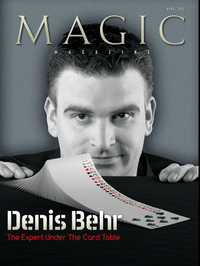 His effect, ‘Ambideckstrous’ was reviewed in the top international publication Magic Magazine. Magicians can view the article from Magic Magazine, April 2013, Vol.22, Issue 8 here. (Password: _ _ _ _ _ _ _ _ - The number of steps taken to become a mentalist according to a book by Tony C).